This was “too neat” to pass up. I love this idea. 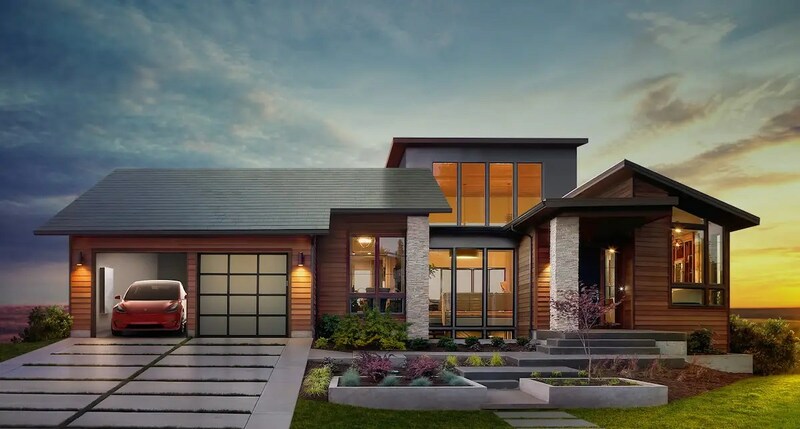 “Tesla will begin selling and installing its solar roof later this year… Tesla unveiled its solar roof product in late October, about a month before the company acquired SolarCity in a deal worth $2.1 billion. Tesla CEO Elon Musk has said it looks “quite promising” that the solar roof could be cheaper than a normal roof, factoring in the price of labor. Tesla will begin selling and installing its solar roof later this year, the company wrote in its fourth-quarter investor letter. Tesla unveiled its solar roof product in late October, about a month before the company acquired SolarCity in a deal worth $2.1 billion. Tesla CEO Elon Musk has said it looks “quite promising” that the solar roof could be cheaper than a normal roof, factoring in the price of labor. Here you see Tesla’s textured glass option. … And in doing so, you can’t really tell the roof has solar cells. That’s really the whole crux of Tesla’s solar roof vision: to create something that’s both aesthetically appealing and efficient. Musk seemed most excited about Tesla’s French slate tile offering, saying the style is “one of the hardest things to do.” This photo gives you a nice look at the solar cell hidden in the tile. 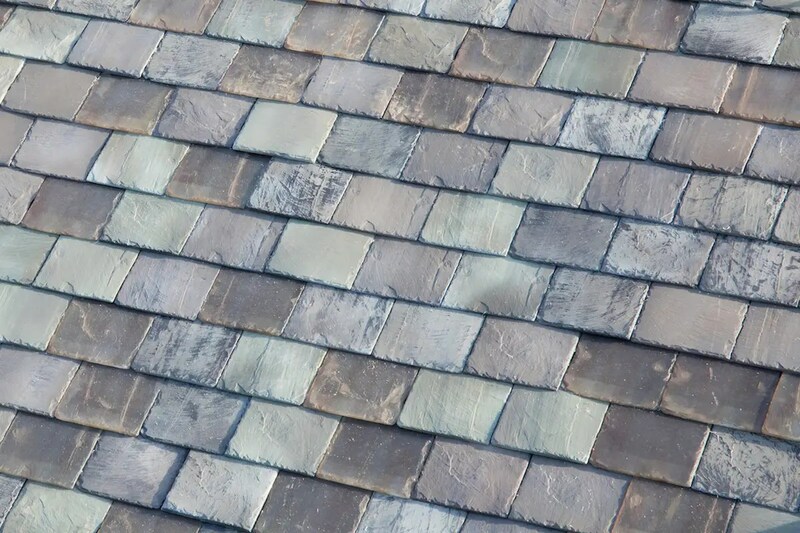 “The production process itself makes each tile specially unique, it’s sort of a special snowflake tile,” Musk said at the solar roof unveiling. You can read more about Tesla’s new glass division here. Musk said the solar roof could cost less than an actual roof, but still hasn’t given specific pricing information. However, Lyndon Rive, SolarCity’s former CEO, said on the Nov. 1 call that “we think we can get to that price point of 40 cents a Watt over time in large scale” for the solar cells, which would put it in line with the competition. Rive said on the call that the solar roof would most likely not fall under a lease or power purchase agreement, but instead as a straightforward loan. “In that case, there is no asset ownership challenge. We would just transfer the ownership to the new homeowner,” he said. Tesla’s smooth glass tile is meant to offer “more of a modern look,” Musk said at the event. “From the vantage point of the street or anywhere near the house it looks completely opaque, but to the sun it’s transparent,” Musk said. Although, it’s hard to imagine why a feature you can only see from an aerial vantage point would be a huge selling point. Lastly, Tesla’s Tuscan glass tile offering. The roof shown at the event wasn’t exclusively made up of Tesla’s Tuscan tile. Instead, only the darker tiles seen here come with the solar cells. Here’s a better shot of how the Tuscan glass tiles look once they’re installed. Musk also made a point of showing the durability of Tesla’s glass tiles with a weight taste. He also wrote in an Oct. 28 tweet that you can walk on the tiles like you would with regular asphalt shingles. Musk also tweeted that the solar glass tiles can incorporate heating elements to clear snow while generating energy. He said it wouldn’t be energy intensive to melt the snow, but “strongly net positive” in an Oct. 28 tweet. The solar cells will be produced at a plant in Buffalo, New York. Tesla and Panasonic will produce the solar cells at the Buffalo manufacturing facility in mid-2017. Tesla is referring to the Buffalo plant as Gigafactory 2. Musk’s solar roof product is one of several energy products Tesla is offering now that it’s merged with SolarCity. Tesla also sells Powerwall 2, it’s at-home battery, and Powerpack 2, its commercial battery. Gallery | This entry was posted in apocalypse, energies, new energies and tagged elon musk, Solar roof shingles, Tesla. Bookmark the permalink.